We have the experience needed to deliver high-quality & long lasting results. Serving Columbus, OH and the surrounding areas of Columbus for 50 years, we’ve provided excellent service and quality project execution for our residential and commercial clients. Steve Byerly Masonry is a full-service concrete and masonry company. Our services include residential concrete work, masonry work, all types of flatwork, tear down and replacement of chimneys, tuck pointing, brick work, stone work, block work, poured foundations, block foundations and much more. 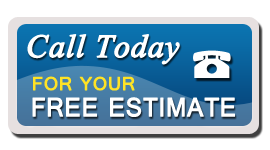 We specialize in additions and remodels of all sizes. Steve Byerly Masonry has many years of experience in the construction industry. We can handle most jobs involving concrete and masonry work. Our employees are highly experienced and professional and we look forward to helping you take care of your home or business in the Columbus area. Whether it’s pouring driveways or building retaining walls, we are happy to take on the job. We always take pride in our work and want to help you with your improvements.